Amie’s related post is here. Karen’s account is here. At one point during my “rebelling” at Cookeville Christian School, I had wanted to go to the local university instead of Bob Jones University, but was told I wanted to go to a secular school only because of my poor spiritual condition. I was going to BJU, and that was that. BJU admitted me without ever receiving my high school records—I may not even have a legitimate high school diploma. At BJU Ted Anderson encouraged me to choose music as my college major, but he had neglected to teach me any basic music fundamentals, so I was woefully unprepared for this major. Most of my musical training had involved playing simple hymns. I faked my way through the audition at BJU with the two songs I knew that could pass as intermediate level. Ted had controlled every aspect of my life for four years in high school, and he continued to retain his hold while I was at BJU. We talked on the phone and wrote each other many letters. But as soon as I entered BJU, I had problems. I started having nightmares and was told I had cursed in my sleep. I was brought before various school officials for my sin of having nightmares. I suffered headaches and severe stomach pains and other related issues. I went to the BJU Barge hospital and was told I had colitis – I had no idea what that meant. Of course, all this time I was in close contact with Ted via phone calls and letters. After I had suffered for 1 ½ years in a music major that Ted had encouraged, I finally got the courage to switch my major to marketing management the second half of my sophomore year. Then my grades rose sharply to dean’s list and I felt more in control. Also that year, Ted stopped writing to me. But even as I was finding my own path at BJU, I was still somehow lacking, and I was told that I was to be put on “spiritual probation” when I re-entered as a junior the following year. That meant I couldn’t go off campus, “date,” etc. It was too much stress. I couldn’t tell my grandparents I wasn’t going back the following year. (And I couldn’t stay with them because they had moved back to New Jersey to a retirement community, 55+ years old only.) I think I forged their signature and had my BJU barrel shipped out to San Francisco, where a boy I was dating at BJU was now living. 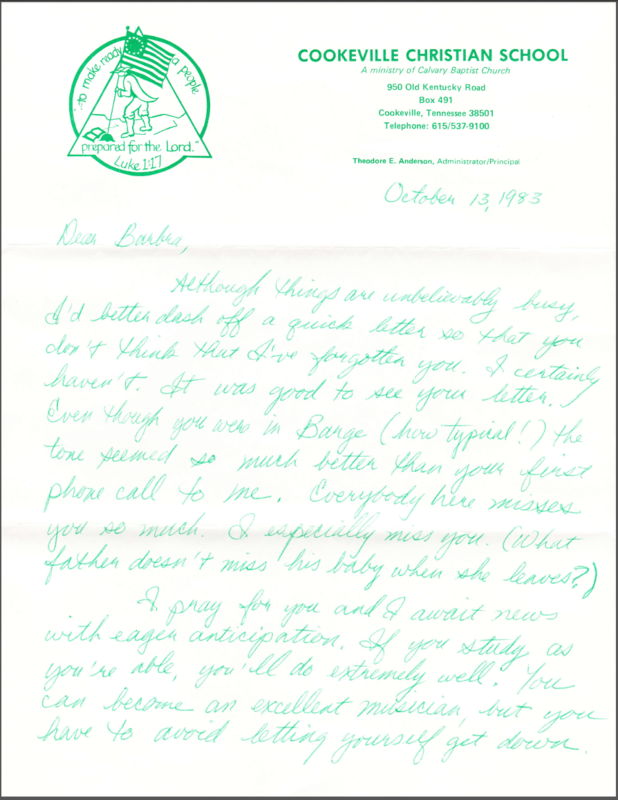 After I arrived in San Francisco, in the spring of 1986 I received a letter telling me that one of Ted Anderson’s other victims had exposed him, as she had seen signs of him grooming her little sister. I felt a host of emotions. I can still remember how my stomach felt, the shame that everybody knew what had happened to me. I figured there had been a big church meeting about it, and that the situation with Ted Anderson had been taken care of; his wife knew now, and I was sure he would never teach again. I moved on with my life. I found out later that nobody from the church ever told my mother about what had happened with Ted. In fact, she tried to get Ted’s address when he moved, but nobody would give it to her. So she did not find out about what Ted did until recently. In 2013 I asked a friend who had been involved in the Cookeville situation to write a letter to the BJU-grad pastor of the church in Arizona where Ted was attending. She tried to explain to him that Ted was not a safe person. I have a copy of the letter that the BJU-grad pastor wrote back, lauding Ted’s character and saying there was no need to be concerned. He said, among other things, “It is my understanding that no charges were filed in the situation that you mentioned. So there is no record of the events happening. . . . 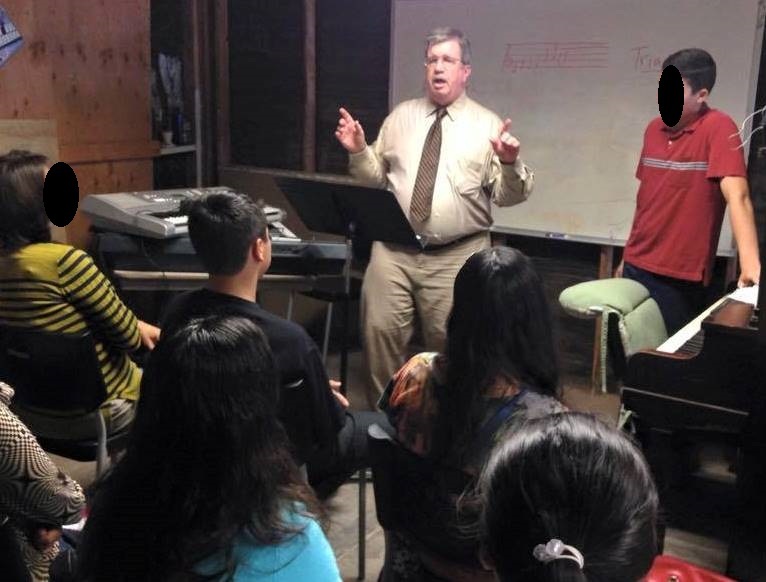 Without testimony or evidence, I can only assume that Mr. Anderson has repented of any wrongdoing and is now living for the LORD.” It was distressing for me to read that Ted had the same glowing review at that school and church that he had with our school and church, prior to the knowledge that he was a serial child molester. That same year someone told me about the G.R.A.C.E. investigation into how Bob Jones University had handled sexual abuse allegations. 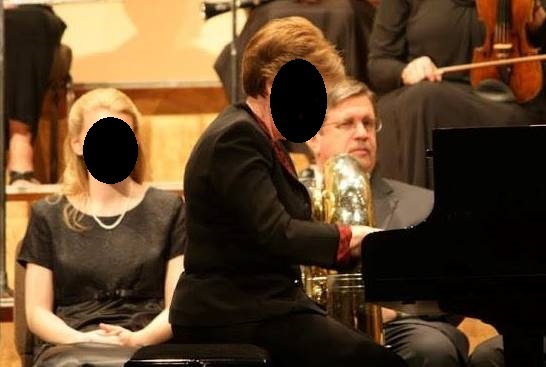 While reconnecting with one of Ted’s other victims during the investigation, I heard that someone in BJU administration knew that Ted had abused several girls while he was a BJU student working on his master’s degree, and their only response had been to advise to send him away and keep it quiet. Ted Anderson’s master’s thesis, four copies of which are available in the BJU Mack Library. When BJU hired G.R.A.C.E., I thought they were moving toward transparency and repair of their long history of shuffling abusers around. I had no interest in revisiting my time at Cookeville and BJU, but saw G.R.A.C.E. as the solution to stopping Ted from having contact with minors, since my prior attempt had failed. So I participated in the G.R.A.C.E. survey. I watched as BJU hired-then-fired-then-rehired G.R.A.C.E. I heard Steve Pettit ‘s announcement minimizing BJU’s bad counsel for sexual abuse. While Ted has had almost three more years to be alone with children, I have experienced the worst couple of years of my life, with constant flashbacks, recurring nightmares, insomnia, and other debilitating symptoms of PTSD. Because BJU has insisted on ignoring the results of the G.R.A.C.E. report, I have had to continue this investigation through my own efforts. I endured humiliation and shame by contacting some girls, after all these years, that I thought could possibly fit the profile of the typical Ted “target,” to ask them if Ted abused them. I struggled to make myself write those emails. I worried about their responses. I am glad for the supportive comments I did receive. I can’t believe it has come to a very public posting for something that should have been rectified thirty years ago. But more appalling is that it could have been resolved yet again very easily two years ago, through the G.R.A.C.E. investigation, without distressing other family members and friends who may hear. I hope representatives of Bob Jones University will read the whole story to know how this all evolved, and my true intentions. The sad thing is that abuse like this continues, and in these IFB churches, the women are said to be at fault, even though most of the abuse happens when they are children, some as young as six. For a man to paddle a girl with her skirt up is a form of sexual abuse and should NEVER be tolerated, even if there is a witness. 1 Pings/Trackbacks for "Barbra’s Story Part Two: at Bob Jones University and Beyond"